How To Buy Gold And Precious Metals Safely, What Are The Important Considerations ? The world economic backdrop continues to deteriorate and with this an awareness and demand is rising on what one should do to preserve the value of their assets in this environment ? 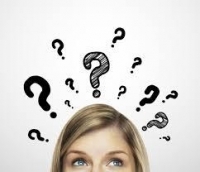 What Are The Important Considerations ? This is not a summary of why one should be purchasing gold, silver, precious metals at this point in history; we will focus purely on the questions many people ask and attempt to clear up any confusion out there. We will go through the questions and try and answer them fully, while keeping it as brief as possible. Obviously the main one on people lips are how do we recognize which online dealers are reputable ? This will be covered on our 3rd point. Scroll down to the points you feel most applicable, but we recommend reading the article in its entirety. A diversified portfolio is essential, which includes cash and precious metals. Investors often ignore these 2 strategic assets as not viable investments when part of an investment portfolio. They could not be further from the truth. Every asset class has its time in the sun with regards to investment cycles. Cash and gold have now become extremely prevalent within these oncoming turns in investment cycles going forward from now into the year 2017 and 2020, due to the worlds massively overleveraged and indebted economic system. So as asset classes start falling in value, money flows down the asset class pyramid. Definition of Exter Pryamid: John Exter is known for creating Exter's Pyramid (also known as Exter's Inverted Pyramid) for visualizing the organization of asset classes in terms of risk and size. In Exter's scheme, gold forms the small base of most reliable value, and asset classes on progressively higher levels are more risky. The larger size of asset classes at higher levels is representative of the higher total worldwide notional value of those assets. While Exter's original pyramid placed Third World debt at the top, today financial derivatives hold this dubious honor. Rather than Gold being the pre-eminent monetary inflation proof trade, it’s quite simply crisis insurance and a wealth preservation vehicle. Considering the deteriorating World macro economic picture we find ourselves in, we at IPM consider ‘fully allocated physical’ holdings as a compulsory part of ones overall asset portfolio, as it has been historically. As we wrote here cash should be held and in our personal opinion should be built to at least 10% of your total assets. When it comes to physical (not paper gold, see here) precious metals then it should be at least 10% to 15% of your assets - in our opinion (while others may have a much higher weighting to gold dependent on their own views and outlook). This is not only a viable prime asset, but a crisis insurance with no 3rd party liability - all important when it comes to the loss of confidence in paper assets. If your still not convinced then let us look at the one of the world most successful and the largest asset managers in the world, Bridgewater Associates and their flagship Alpha fund. Definition of Pure Alpha : Alpha investments, whose goal is to generate higher returns that are uncorrelated to the general market and are actively managed. A measure of performance on a risk-adjusted basis. Alpha takes the volatility (price risk) of a mutual fund and compares its risk-adjusted performance to a benchmark index. The excess return of the fund relative to the return of the benchmark index is a fund's alpha. The pure Alpha fund asset holdings are as below. Let us enlarge their largest holding by far...Gold ! There are excellent dealers in the metals business, once you discover a bullion dealer you can trust then build a rapport with them, they will be happy to offer advice and give you guidance on the best deals and products to buy that suit the individual investor. 1....The bullion dealer's website - is it clear to use? Are the people behind the business featured ? 2....Is the website frequently updated with news updates and product ranges? 3....Can you buy on-line ? Are the prices live and updated and can you trade on them prices with immediate effect ? 4....Is the website mobile device, smartphone ready and can you order live ? 5... Location or more importantly jurisdiction of the company in question (IPM Group Pte. Ltd.) , for example Singapore, London etc. have very strong regulatory laws encapsulating companies, accounts and audit; and the overall administration of companies. Any wrong-doing or misrepresentation is heavily prosecuted. Singapore Companies Act has undergone several reviews to ensure that their corporate regulatory regime is robust and supports Singapore’s growth as a global hub for businesses and investors. 9.... Do they offer secure storage options which are fully allocated under the customers name, see here ? There are several options available to the customer; you can sell back to the dealer who you first purchased the products from. The dealer will obviously do their due diligence and check the metal is legitimate using various tests. Once the metal has been confirmed the proceeds of the sale will be credited to the customer’s bank account. 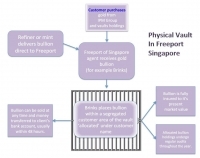 If you use IPM Group’s allocated storage facility in Freeport of Singapore the liquidity of your physical metal asset takes on another dimension. Because the metals are delivered directly from the refinery or mint themselves to Brinks in Freeport and immediately stored, once you decide to sell any percentage of your metal holding there will be no requirement to assay the metals. The proceeds from your sale will be transacted immediately and funds credited to your account within 48 hours. We very much support and encourage the investor who wishes to pick up personally or take delivery via insured shipment of their precious metal investments. This method works perfectly well for the smaller allocations and certainly contributes to a regular saving scheme plan. Usually customers store in their home safe-box or some other safe location. Precious metals make excellent gifts to people you care for, passing wealth onto them to preserve. However the difficulty arises when one wishes to make larger investment diversification plans. Physical Vaulted Gold - Imperative to hold outside of the banking system. Buying gold directly from world recognised refineries and placing directly into a vault as fully ‘allocated’ and ‘segregated’ holdings under your own name - well you have no liabilities attached! “Allocated” precious metals are owned outright by the investor and are stored, under a safekeeping or custody arrangement, in a professional vault. It is the sole property of the investor and by law is segregated. “Allocated” holdings differ profoundly from “Unallocated” holdings. Effectively this means our (IPM Group) storage clients are not exposed to any credit or insolvency risks arising from the financial or monetary system. In fact they are not exposed even from the bankruptcy of our own company. Read here and here. For the average investor, the holding of physical gold and silver or other precious metals is very much dependent on the jurisdiction you or your investment trust resides. For example in Singapore or Malaysia a range of bullion coins or London Good Delivery bars are exempt from any tax. But these laws can change at will, especially when considering capital gains. Our vaulted storage facility within Freeport is a free trade zone where transactions (buying or selling) are tax-exempt and the identity of the beneficial owner is not disclosed. A free trade zone (FTZ), also sometimes referred to as a “bonded area” is a specific class of special economic zone. They are a geographic area where goods may be landed, handled, manufactured or reconfigured, and re-exported without the intervention of the customs authorities. Freeport’s are something of a fiscal no-man’s-land. The “free” refers to the suspension of customs duties and taxes. This benefit may have been originally intended as temporary, while goods were in transit, but for much of the stored wealth it is, in effect, permanent, as there is no time limit: bullion or fine art can be flown in from another country and stored for decades without attracting a levy. Better still, sales of goods in FreePort incur no value-added or capital-gains taxes. These are (technically) payable in the destination country when an item leaves this parallel fiscal universe, but by then it may have changed hands several times over.